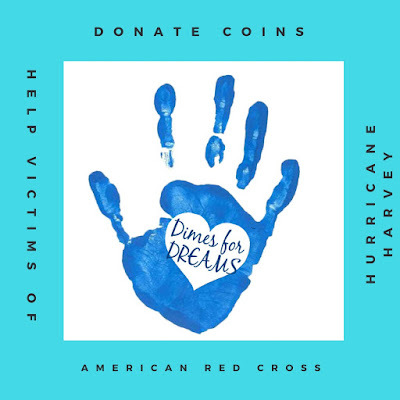 Hurricane Harvey has devastated the lives of the residents of Texas. As New York Times reported, "Waters Still Rising , with Death Toll at 30, Storms Makes 2nd Landfall." . So far, Hurricane Harvey has "set a new record for Tropical Strom Rainfall - 52 inches and counting" . In 2013, when Super Storm Yolanda hit the Philippines, my youngest son and his friends rallied our community of friends and families to donate. For 3 weeks, they did an amazing job distributing the flyers and unloading the donations that were dropped off. They were all eager to help. Our children want to help, and we should try to encourage them. Some banks have counting machines or you can wrap the coins in wrappers (available at banks). 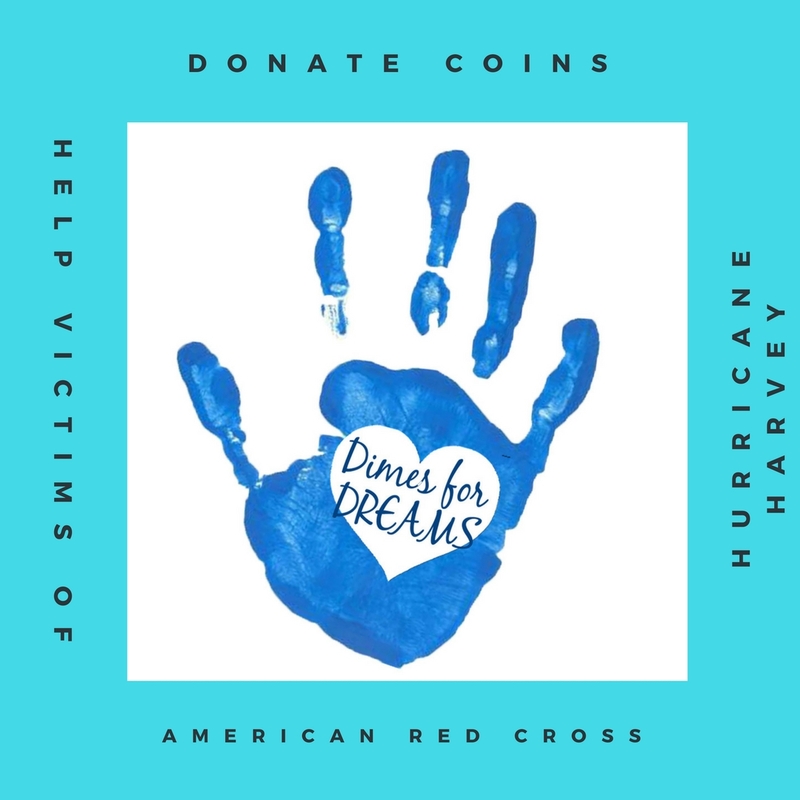 Donate the total amount to the charity organization of your choice or use the money to buy gift cards to donate to the victims you personally know. Here's a sample flyer you can use to collect coins. Check your local blood centers. If you're in the New York area, contact the New York Blood Center to register and determine where you can donate blood. If you know anyone who are personally affected by the hurricane, directly giving them the gift cards will be a tremendous help. 4) Start a Clothing Fund-raiser. In a clothing fund-raiser, the clothes or items collected are NOT donated to disaster areas but instead converted to funds. We've been using GreenDrop to donate our used clothing/items. So when my son decided to do clothing fund-raiser, my son emailed GreenDrop and asked them on what happens to donations and how much they donate to the charity of our choice. 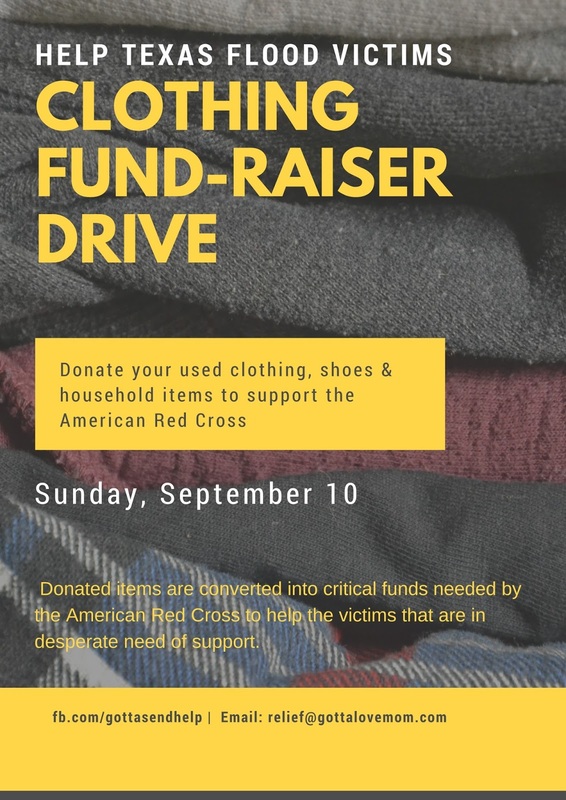 All donations collected at GreenDrop are sold by the charities to a network of thrift stores, including 2ndAve Value Stores and Village Thrift Stores. There, donations are carefully sorted and given a second life with a new owner, or are responsibly recycled. 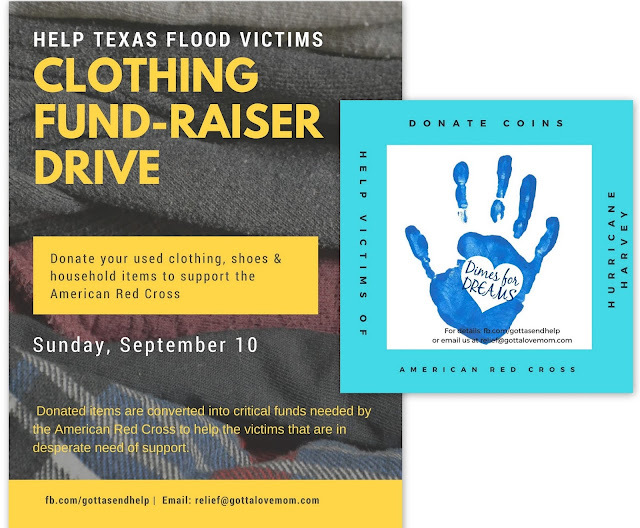 85% of dollars generated from clothing donations goes to the charity you choose to donate to. Here's the sample flyer for our upcoming clothing drive fund-raiser. Cosmetics and toiletries (unopened), eyeglasses and sunglasses, artificial flowers and trees, umbrellas, yarns and material, knick-knacks, antiques, jewelry, luggage, buttons, musical instruments, towels, area rugs, Christmas and seasonal decorations, novelties, framed pictures and paintings, yard tools, hardware tools, bedding, draperies, blankets, bedspreads, quilts, sheets, pillows and pillow cases. Irons and ironing boards, sewing machines, microwaves, lamps, clocks, hair dryers, electric griddles, blenders, coffee makers and toasters. Computer items including towers, printers, hard drives, software and accessories, telephones, smart phones, answering machines, portable copiers, fax machines, calculators, stereos, DVD players, video cameras and equipment and radios.